Shopping for a car is an interesting situation. There is a combination of excitement and opportunity and of stress and uncertainty. You must face a lot of questions if you want to make the right choice. If you don’t have enough money to pay cash for a new car, you can either lease or buy. Many Laplace, LA, shoppers consider auto loans. Before you go this route, understand the advantages and disadvantages of this option. Does it scare you to think about a lender or dealer checking your credit? If your score is lower than you would like, you won’t have a good chance of qualifying for a lease. However, there’s still hope, even if you have poor credit. Dealers are willing to work with you and your credit struggles if you want to look into auto loans. In most cases, you can get a rate and term that you can feel good about. There are some restrictions people in Laplace, LA, have to face when they want to lease. But these same restrictions aren’t a factor with loans. When you buy a vehicle, you can drive as many miles as you’d like without having to worry about paying a penalty. This is good news if you regularly rack up mileage on your car. You can also modify your car in any way you’d like and as many times as you wish. Neither of these is possible with a lease. When you buy your car, you will pay for the value of the vehicle, not how much it will depreciate. What does this mean for your monthly bill? You’ll pay more each month for auto loans than you would with a lease. In addition, if you buy your car, you’ll pay higher taxes and registration fees at the dealership. These factors would concern you if you had a tight budget. People in Laplace, LA, who lease love the fact they can have a new car every three years. With a lease, you simply return the car at the end of the term. When you buy a car, you don’t have this luxury. When you’re ready to move on to something different, and you don’t want to hang onto it, you’ll have to find a private buyer or hope the vehicle has good trade-in value. 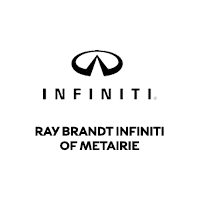 The staff at Ray Brandt INFINITI can help you decide if auto loans are right for you and your situation in Laplace, LA.